Convert HPG to PDF in batches! There was a time when using HPGL or HPG files was a daily occurrence in the CAD industry but those days are definitely disappearing in the rear-view mirror. If you need to send work to clients rather than a plot printer, you're going to need a different format. And if you need to access existing legacy work that's stored in these files, the chances are you're going to need some sort of converter. Professionals across the CAD industry recommend the Total CAD Converter for exactly this type of task. If you are looking to convert HPG to PDF or export HPG to PDF, there is simply no better tool on the market. Let's run through just some of the essential functionality it offers. True print quality: Our unique rendering process, refined over 12 years of development, ensures your PDF documents will be output exactly like the originals. 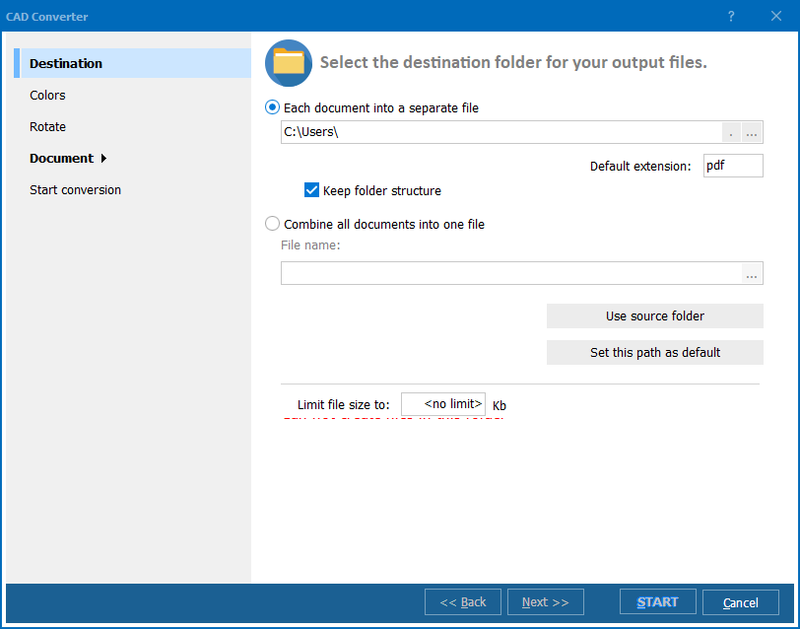 Easy document combination: Combine several HPG files into one PDF document with just a few clicks. 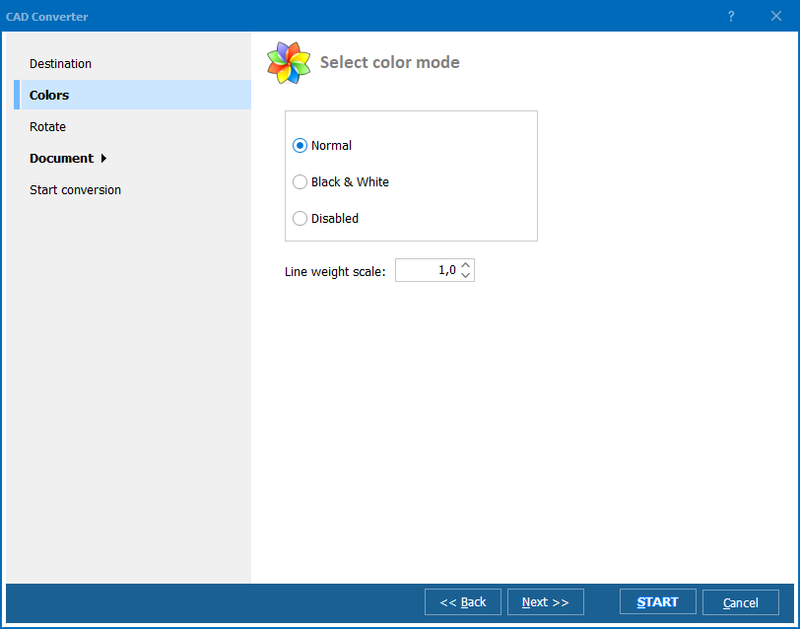 Black & White output options: If you're faced with difficult to distinguish colors in your source files and wish to view in grayscale, the black and white output option can be a real timesaver. In-tool rotation: No need to re-open the source files, you're free to rotate from within Total CAD Converter itself. You won't be stuck for functionality when you're looking to save HPG as PDF either. 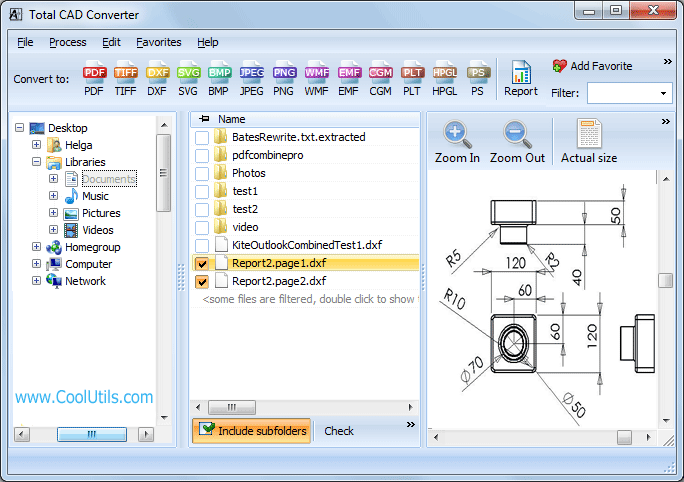 Total CAD Converter offers the ability to save as PDF, PDF/A and Non-searchable PDF and you can protect the contents of your files by accessing a full range of security settings. Documents can also be signed with a digital signature and watermarked on every page from within the tool and several compression options are available to you on export. If you're faced with a mountain of files to process and looking for a batch HPG converter, then Auto CAD Converter has you covered there as well with its batch processing options. A particularly handy option here is the fit-to-page functionality that can save hours of manual adjustments. You're also free to take your automation a step further and execute via the command line. Non-technical users can even define common tasks via the GUI and save them as executable files with no scripting is required. With the range of functionality on display, you're simply not going to find a better CAD converter anywhere near the price of Total CAD Converter. 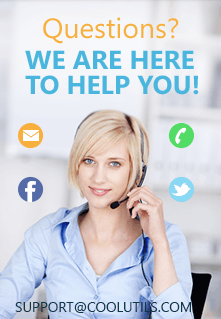 Try out our free download today and discover its power for yourself.